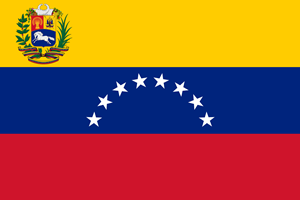 Venezuela, known since 1999 as the Bolivarian Republic of Venezuela, is a country on the northern coast of South America. The country comprises a continental mainland and numerous islands in the Caribbean Sea. It borders Guyana to the east, Brazil to the south, and Colombia to the west. Trinidad and Tobago, Barbados, Curacao, Bonaire, Aruba, and the Leeward Antilles lie just north, off the Venezuelan coast. Falling within the tropics, Venezuela sits close to the Equator in the Northern Hemisphere. TESOL Certification for Teaching English to Speakers of other Languages in Venezuela.